Last week I raved about the Beautiful Box that came with the magazine ‘Goed Gevoel’. 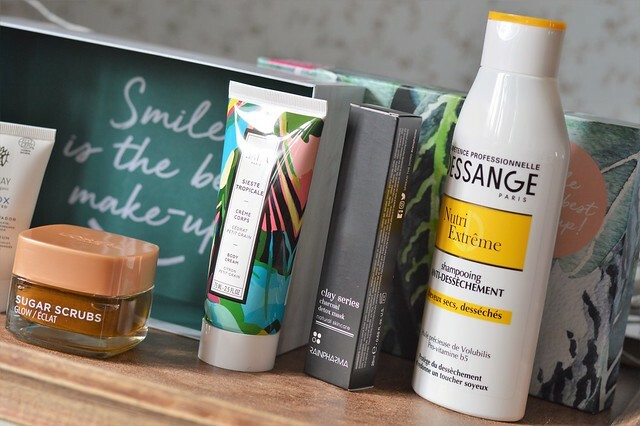 There are 7 different beauty products inside the box and today you can read a review on the L’Oréal Paris Sugar Scrubs (glow). Take a small amount of product out of the jar, using a little spatula. Aply it on clean, dry skin. Then add warm water and gently massage the scrub over your face (and lips). Once the sugars have melted, rinse with warm water. This scrub can be used up to 3 times a week. Make sure to read the instructions before using this scrub… Not as I did the first time, damaging my skin a bit as I used it on dry skin without adding warm water!!! Leaves my skin soft and clean after using it. The sugar particles dissolve whilst you massage them into your skin with the warm water, which gives a pleasant feeling. My skin felt supple after using this scrub. Hydrating because of the grapeseed oil it contains. The price (normal price is about 11 EUR for a 50 ml jar). There is no spatula inserted in the package. This is a good scrub at a very affordable price! I can imagine many will like this product. 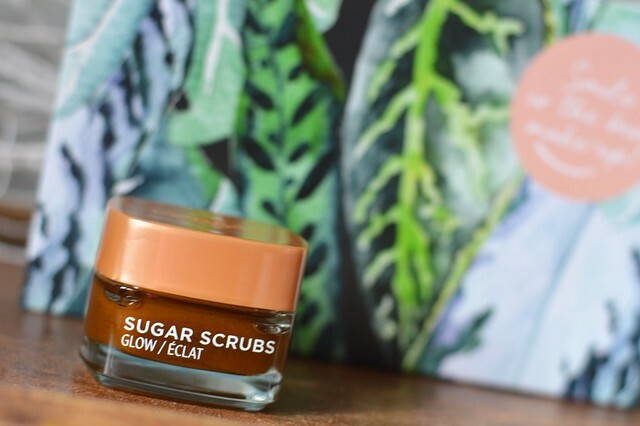 This entry was posted in Beauty, Skincare and tagged beauty, l'oréal paris, scrub.